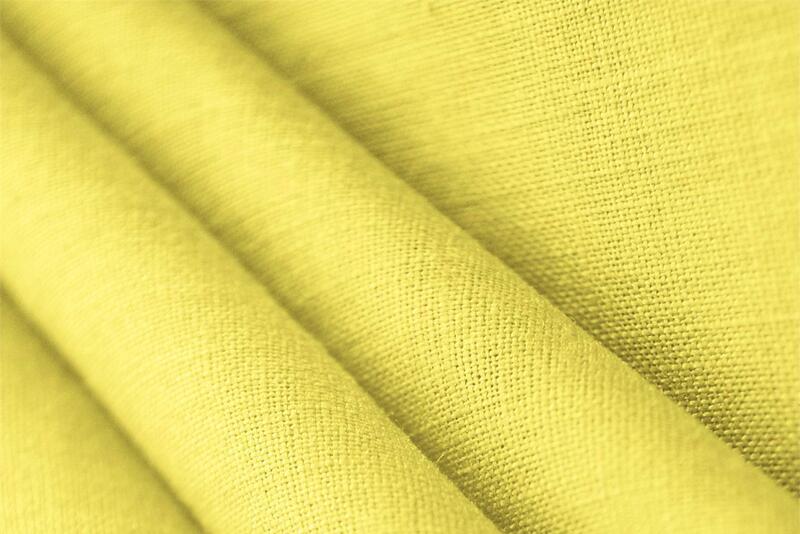 Buy online our clothing and fashion fabric 'Limone' Yellow Linen Canvas, Made in Italy. Our yarn dyed linen canvas fabric is fine and sophisticated in its simplicity. Linen has exceptional properties, like its hydroscopic capacity which makes it ideal for wearing next to the skin. Its fibres are anti-static and hypoallergenic. Linen canvas is versatile and suitable for a range of sewing projects, from shirts to dresses, pants, skirts and jackets. All the finished garments made with this fine linen fabric will have a chic and sporty look and will be cool and elegant. Limone Yellow Linen Linen Canvas Plain fabric for Dress, Jacket, Pants, Shirt, Skirt.